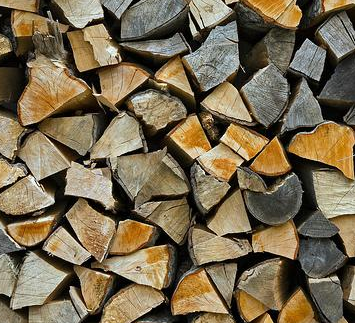 The smell of burning wood in a fireplace or a woodstove is almost as welcoming as the warmth it provides. You probably have wood stacked against or near your home, ready to pick at as the winter progresses, but wood can fill your home with more than just heat. There are two types of pests that can catch a ride into your home on firewood. This group is comprised of pests that nest in wood: carpenter ants, termites, and wood-boring beetles. What happens is that these pests hibernate in their nests when it gets cold. When you bring infested wood inside, the heat in your home acts as an early alarm clock that tells them to find food. And though they nest in wood, these pests are too busy looking for food to start a new nest in your house. What should concern you is where you stack the firewood. If it’s against the house, then you should consider moving it. Moisture builds up in the space between your house and the pile of wood and creates an ideal environment for all sorts of pests. It also makes the structural wood of your house more appealing to wood-destroying pests. Not all pests brought in on firewood are destructive. Pennsylvania wood roaches, queen wasps, earwigs, spiders, and sow bugs are a few of the common non-destructive pests. These little guys like to hibernate under tree bark, not in the wood. Like wood-destroying pests, when they feel that wonderful heat inside your home, they wake up and immediately seek food. As they do, they become a huge nuisance as they try to find their way out. Strip loose bark of the wood since that is where many of these pests like to hibernate. Stack wood on anything that will keep it off the wet ground since it is in moist wood where carpenter ants and termites like to nest. Bring in only enough wood to last a day or two. Stack wood at least 3 feet away from your house. That will keep both the wood and the side of your house dry and less attractive to pests. Contact a pest management professional to provide pest control services inside and outside your home. NEVER treat firewood with pesticides. Burning pesticide treated wood can release toxic fumes that could be hazardous to your health. Some can make the fire burn hotter, which could cause chimney fires.